• A two in one non toxic formula that smoothes and reduces line and wrinkles while promoting lasting improvement to skin texture. • Injection free ...technologically advanced formula that contains the latest in peptide technology. • A combination of two peptides that work synergistically inhibiting muscle contraction while simultaneously increasing collagen and ellastin production. 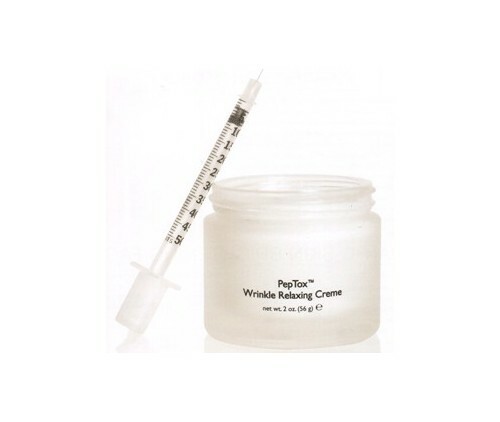 • Peptox Wrinkle Relaxing Creme is formulated with Matrixyl 3000 a patented lipopeptide. • Creates a healing repair response in the dermal layer of the skin as it stimulates Collagen 1, Fibronectin and Hyaluronic Acid.